To pay a £13.3m release clause for a manager shows an incredible sign of faith. It also brings with it an incredible sense of pressure. Andre Villas-Boas is the youngest manager ever to win the UEFA Europa League and third youngest man to win the Portuguese top division. If that's not raw potential, I don't know what is. The football he encourages is attractive, and having been a Jose Mourinho understudy, you can bet his management skills are up to scratch - something he will need with Chelsea's star-studded squad. At his side Roberto Di Matteo, with bags of enthusiasm and winning mentality. By Chelsea's standards, it was not the craziest summer in recent years, but it was still a very effective one. The core of the squad remains together and some new additions have been made. 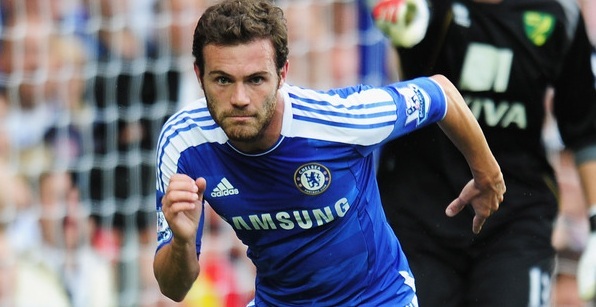 The marquee addition of the summer was Juan Mata from Valencia. He made the perfect start to ease his high transfer fee pressure with a goal in his debut. It is more or less common knowledge that the guy is a super player. 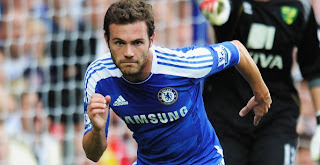 Raul Meireles joined in the closing stages of the transfer window and will do well for Chelsea. The Portuguese connections will help him to prosper, and that long range shot in his locker will excite the fans. Chelsea's contingent of promising young stars is growing all the time. Never mind the fact that the Blues already have Daniel Sturridge, Josh McEachran and Ryan Bertrand (to name a few); Oriol Romeu and Romelu Lukaku have now arrived too. Not too much is known about Romeu, but fans must not believe him to be a Barcelona outcast. To be fair, Barcelona's central midfield just could not accommodate any more stars. Lukaku, by the looks of things, is a one-off human being. At just 18, he's taller and more muscular than almost every Premier League footballer and has the attributes to be a world beater. His debut minutes against Norwich were impressive and I'm sure we're all excited to see more. With all the new signings at Liverpool, Manchester City and Manchester United, Chelsea's current first-team squad has slipped under the radar a bit. But don't forget that the first team still possesses huge quality. Petr Cech, John Terry, Ashley Cole, Frank Lampard, Didier Drogba et al are all still world class players. Some criticise the age of the squad, but they are not too old; they are seasoned professionals. Andre Villas-Boas has brought in some very good youth prospects to complement the experience in the squad, and it looks to be incredibly well-balanced. The most important aspect of a team is its desire to win. The quality is there, the setup is present. All it needs is for the players to want it more than anything. The likes of John Terry and Frank Lampard are as professional as it gets, and they carry the team through the rough spots. Their desire to regain the Premier League trophy is infectious and will rub off on the new boys, the young boys and the old boys too. Chelsea are in with an extremely good shot at winning the title this year, an outcome that may come as a surprise to many, but certainly not to me.